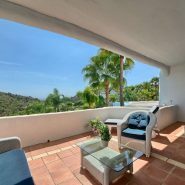 This beautiful, spacious and very bright three bedroom corner ground floor apartment is situated on an elevated position, facing south with fantastic views to the sea, golf and mountains. 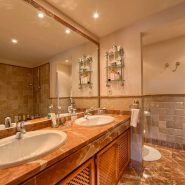 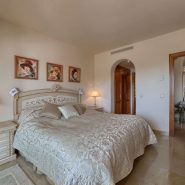 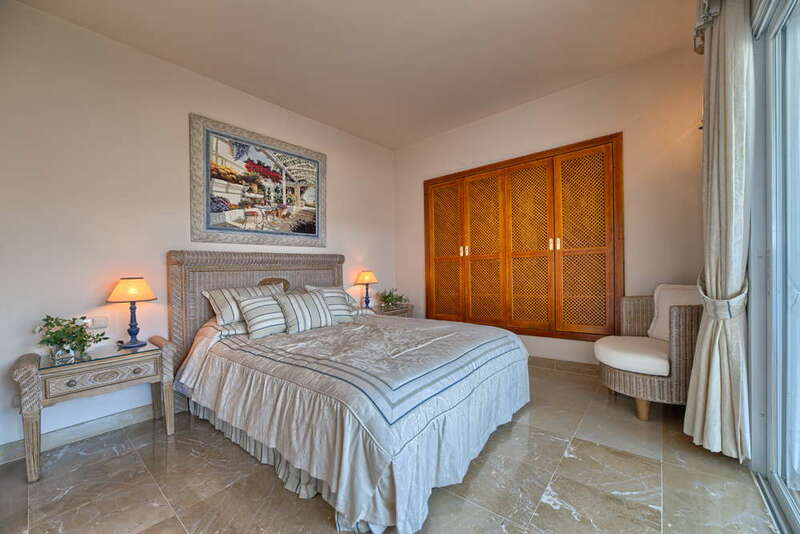 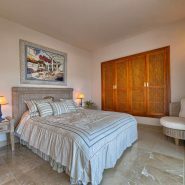 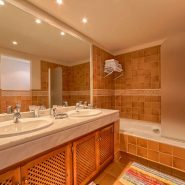 The apartment comprises a large living room, fully fitted kitchen with Bosch appliances, en suite master bedroom, one guest bedroom en-suite and one guest bedroom with separate bathroom. 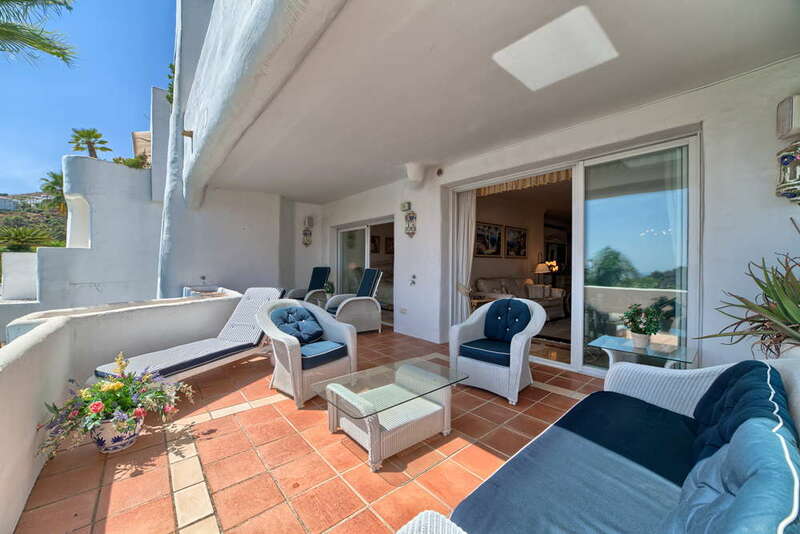 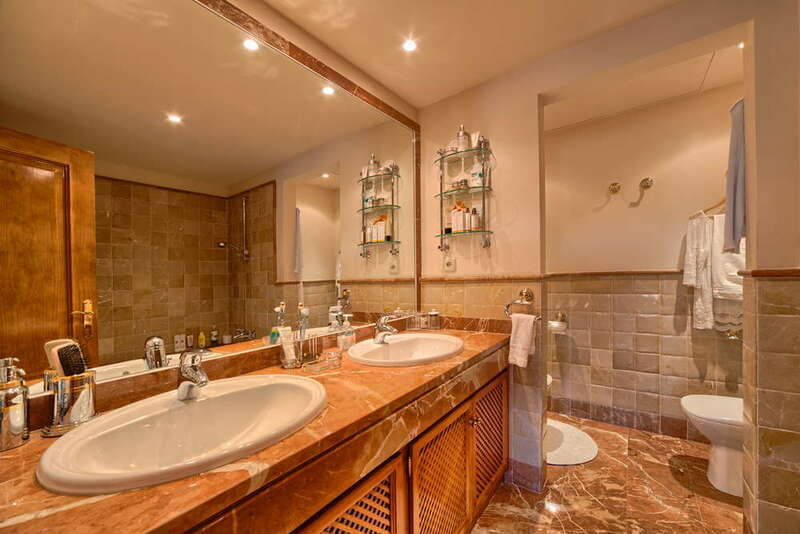 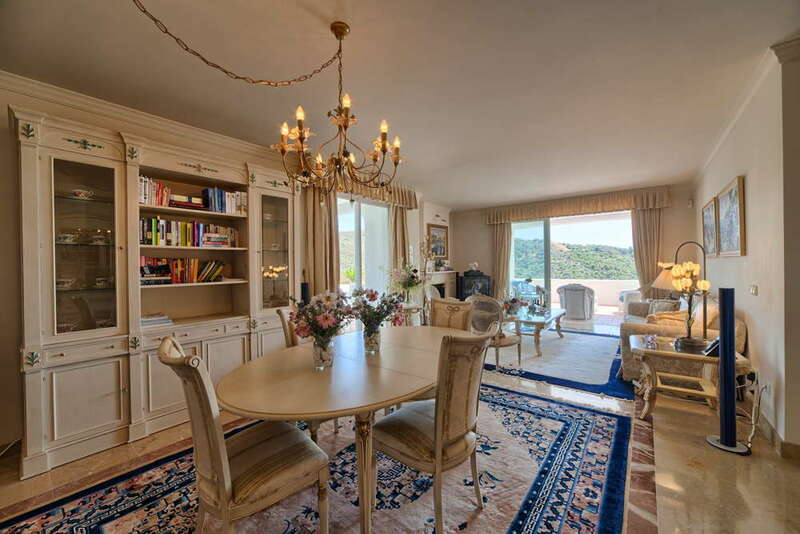 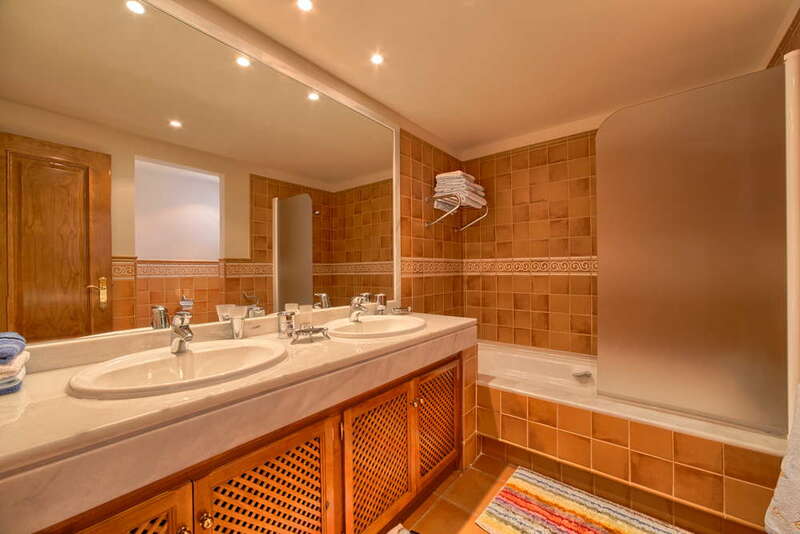 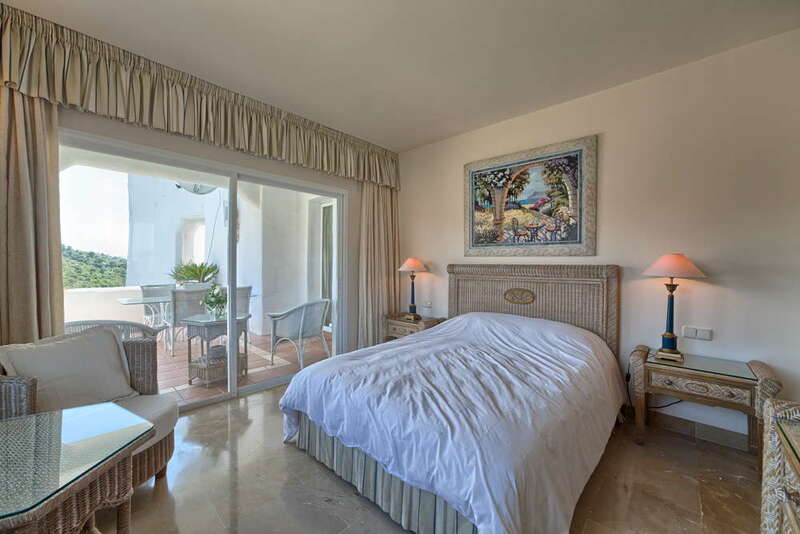 Very private and quiet with open and covered terraces. 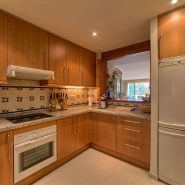 This property is offered with a garage space and a store room. 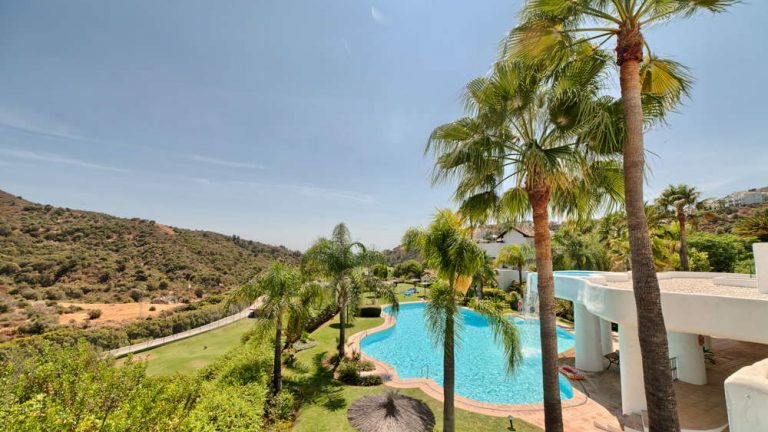 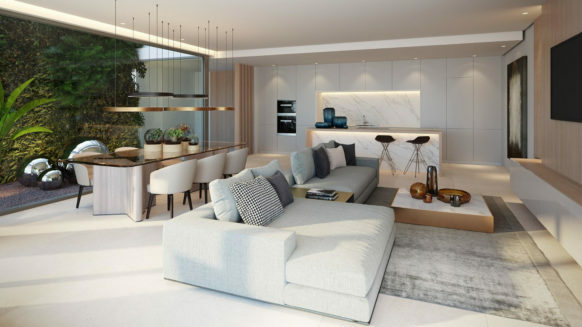 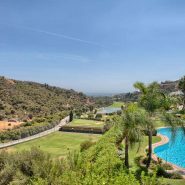 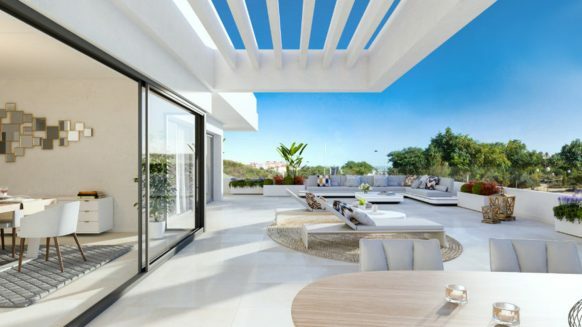 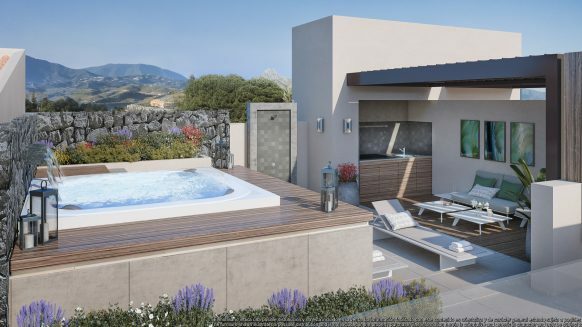 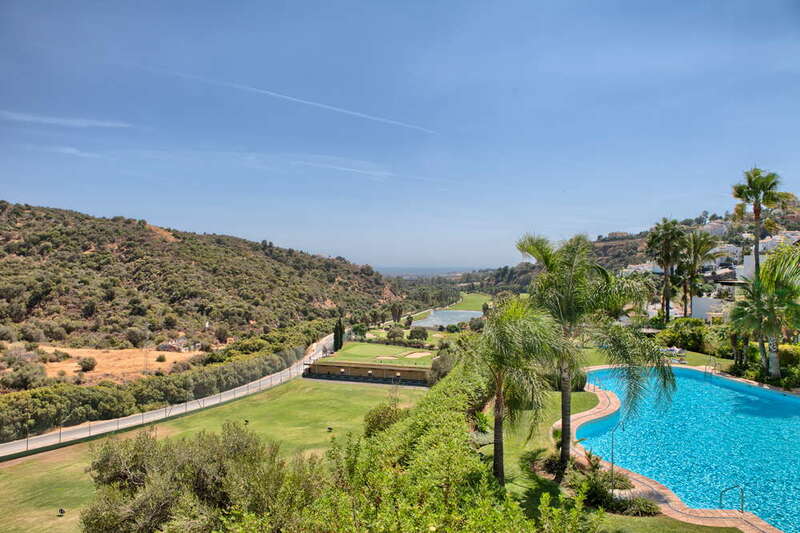 Las Lomas de La Quinta is a gated urbanization with a total of 52 apartments and penthouses situated in the heart of the exclusive Golf Valley in Nueva Andalucía, just 10 minutes from Puerto Banús and 15 minutes to Marbella with easy access to the toll road. 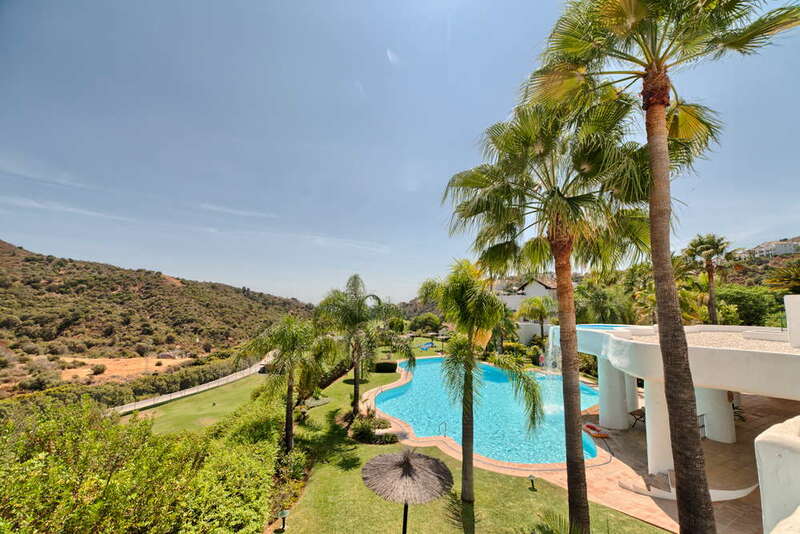 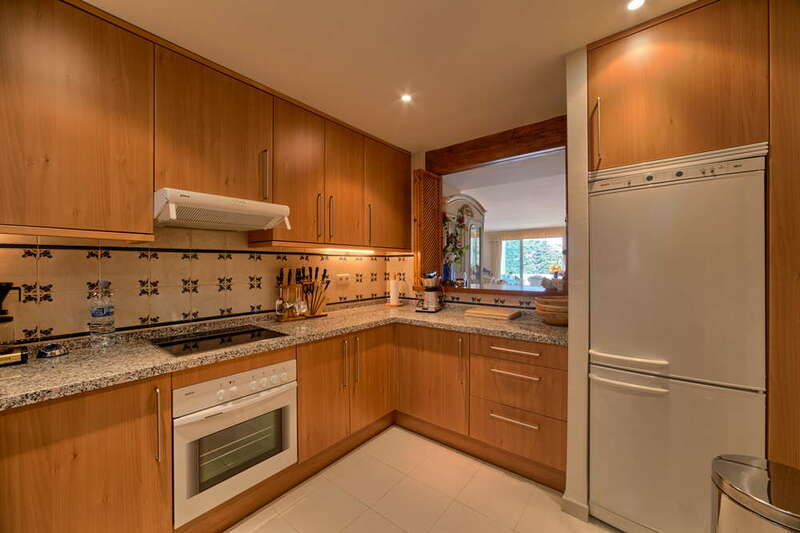 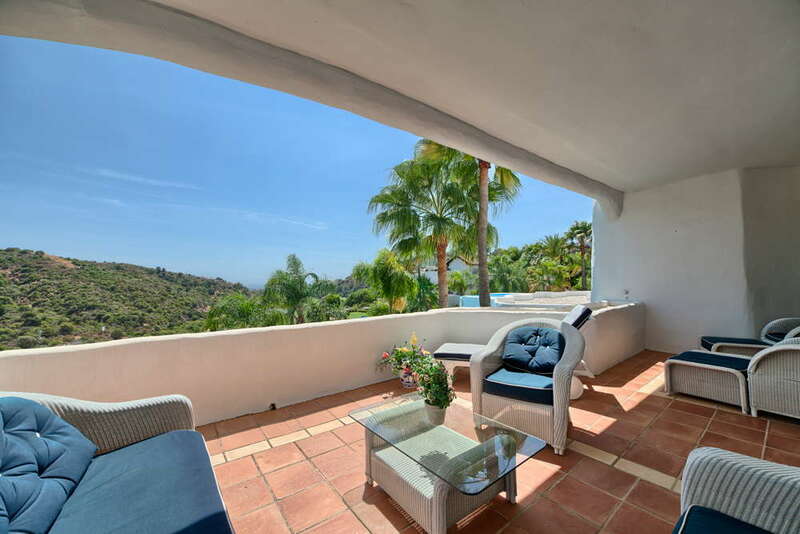 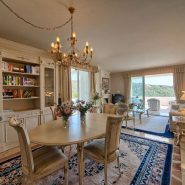 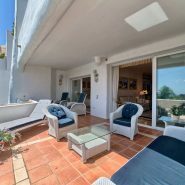 South orientated, next to La Quinta Golf Academy with spectacular views to the golf course, sea and mountain. 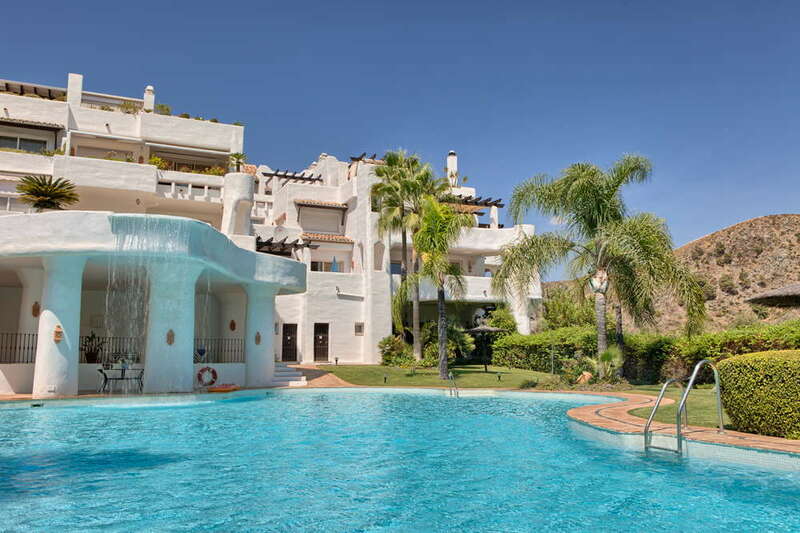 The apartments within the community are all very private and are surrounded by gardens and cascade swimming pools.